For decades iSCADA has been used worldwide in various engineering fields in a bid to deliver useful data in order that effective and timely decisions can be made and acted upon. The advent of internet and fast computing power advances the iSCADA technology by leaps and bounds, thus iSCADA. Distance and time lags are things of the past. Real time feedback is not only possible and viable, but now fast becoming more of a necessity. 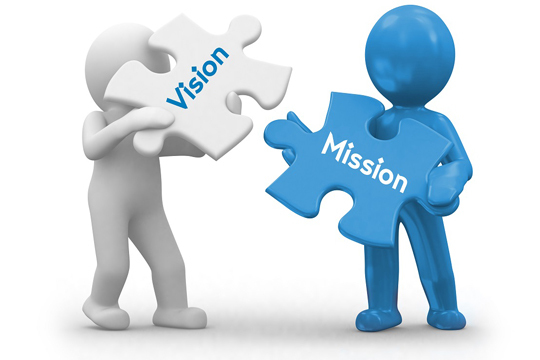 Iscada mission and vision With a view to provide a total effective fire prevention service coupled with the state-of-the-art iSCADA technology, our founder and Executive Chairman, Dato' Saipuddin Bin Ahmad,had painstakingly engineered our company since January 2009, to the state we are now today. We are pleased to inform you that iSCADA NET SDN BHD (iSnet) has recently been appointed by Jabatan Bomba dan Penyelamat Malaysia (JBPM) as the direct fire safety link service provider to BOMBA.This advanced BOMBA direct fire safety link system is called Sistem Pengawasan Kebakaran Automatik (SPKA) and it replaces the existing Computerised Fire Alarm Monitoring and Communication System (CMS) which is being phased out.The system behind SPKA is iBOSS(iSnet-based BOMBA Operations Safety System). 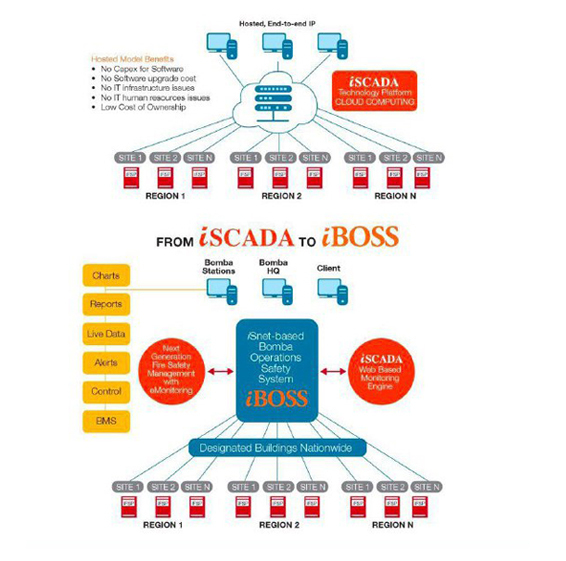 iBOSS is a specific fire safety development that evolved from the iSCADA platform. 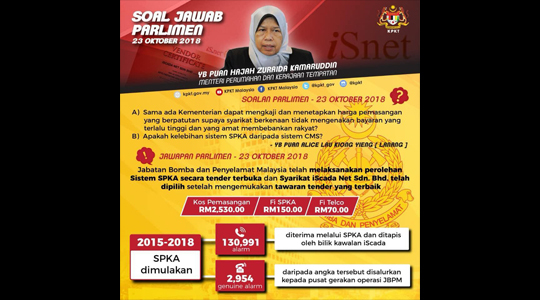 The Subscriber shall be responsible to inform iSCADA Net Sdn Bhd of any subsequent changes to the Key Contact Information. Failure to do so may result in Bomba having difficulty making contact in the event of a fire emergency. 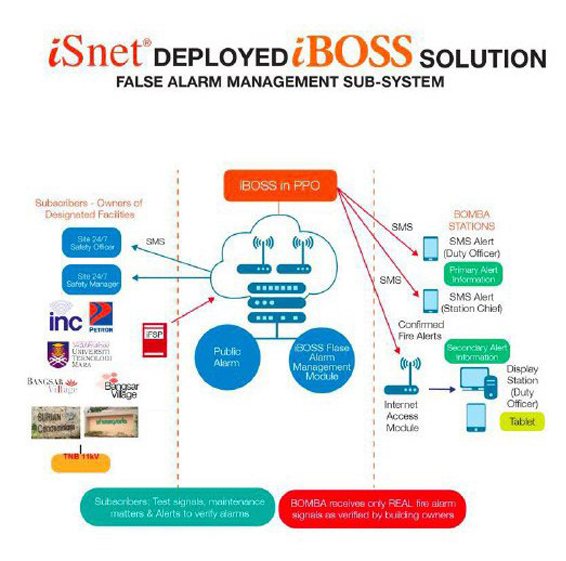 iSCADA Net Sdn Bhd also offer package "iBOSS Planned Preventive Maintenance(iPPM)" to ensure SPKA function effectively and efficient. © 2017 iSCADA NET SDN BHD | All rights reserved.